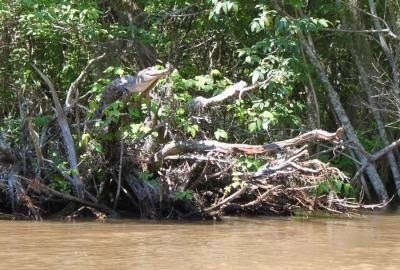 Most of us thought that when pursued by a crocodile (on land, crocodiles can run at an impressive 12-14kph for a short period), climbing up a tree signals the end of the chase. 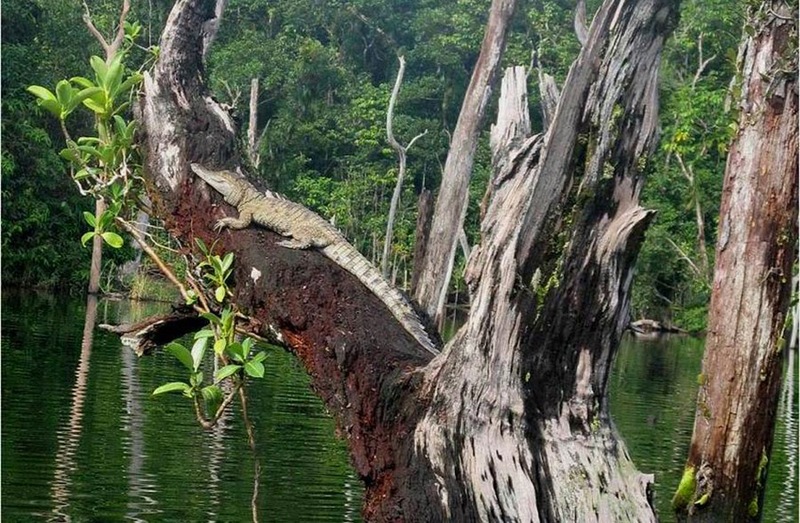 Well, that's not entire true; because it turns out crocodiles CAN climb trees. And they can climb as high as 32 feet up a tree. 32 feet, or 9.75 meters, is not something you can achieve by jumping alone. To get to a place that's 10 meters high you simply have to climb. The news really took me by surprise because crocodiles, unlike primates, are ill-equipped for climbing. 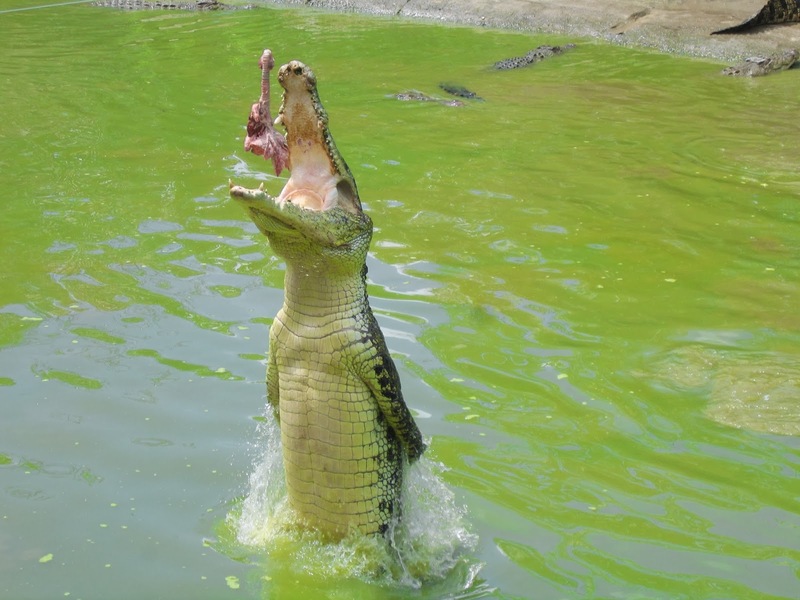 The powerful tail that normally propels a crocodile out of water cannot propel it the same way up a tree. And crocodilians lack the anatomic adaptation for gripping, and its long snout becomes difficult to manoeuvre among the branches. A group of researcher set out to see for themselves, and they travelled to Australia to observe the Australian freshwater crocodiles, the Nile crocodiles in Africa, and the alligators and crocodiles of the Everglades, and they saw "crocodiles in trees, day and night, pretty much everywhere they looked." The scientists suggest the behavior exists as a means for regulating body temperature and surveying the environment. So the ability to climb trees is an inherent characteristic of crocodilians; it's not something that happen exclusively to a particular species or population. Go ahead and read the full paper here; it contains a picture of an alligator "perching on a tree branch."